On Yer Bike Winery Tours is a small friendly bike hire business located on State Highway 50, 14 km South East of Hastings. We operate bicycle rentals focused on visiting Hawke's Bay best wineries in the Bridge Pa Triangle and Gimblett Gravels wine regions. Based in the heart of the wine region you start the tour at our base next to Ash Ridge Wines. From here you can cycle to Sileni Estate, Alpha Domus, Abbey Cellars, Ngatarawa Estate, Trinity Hill and Te Awa. 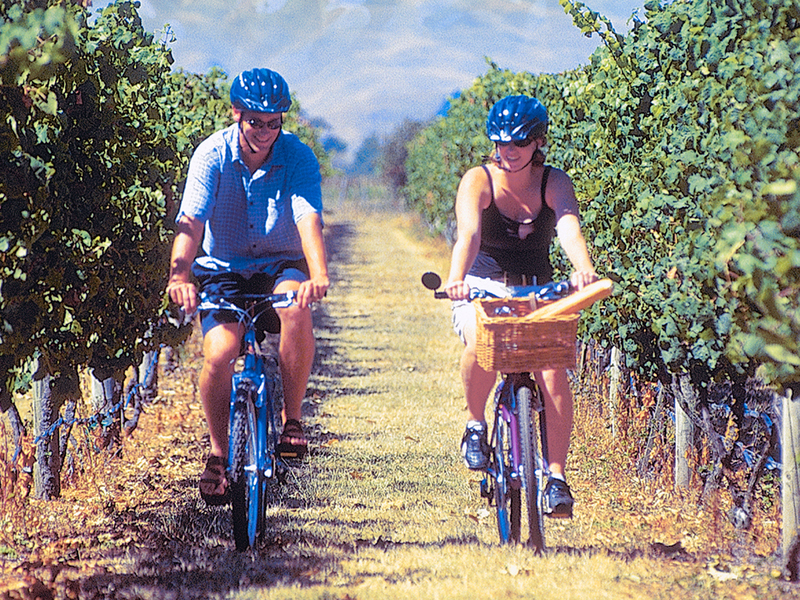 The route covers up to around 20 Km on the Hawke's Bay Cycle Trails and you can comfortably do it in around 4-6 hours depending on how long you stay for tasting wine at each winery.